Comfort food. When I think of the types of dishes that would fall in this category, this particular dish stands at the top of the list. 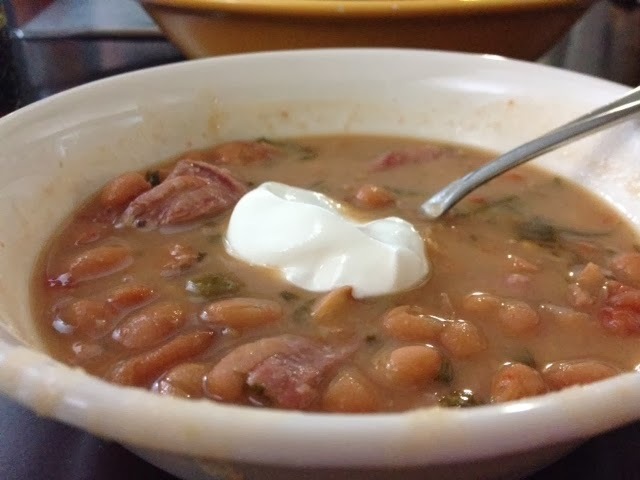 There is nothing like a pot of charro beans on a cool fall evening. This weekend was our pumpkin patch weekend. My sister and I loaded the kids up in the van and headed to Abuelita and Papi’s house. This has been a much anticipated weekend for us. We were looking forward to taking our kids to the pumpkin patch and we were also excited to spend some time with family. Arriving at mom and dad’s house, we were not disappointed. 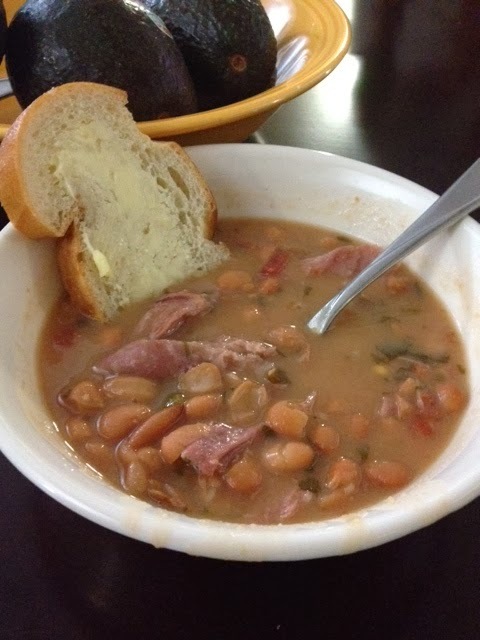 A big pot of charro beans was waiting for us…and a delicious apple crisp to follow. Comfort food lived up to its name that night. We love to eat french bread and butter with it…YUM.